With a location right here in Palm City, Lindstrom Air Conditioning & Plumbing is the company you can count on for fast, quality HVAC and plumbing service. We have been serving Florida since 1975 and our skilled plumbers and HVAC technicians are fully trained and ready to help with all of your air conditioning, heating and plumbing service and installation needs. We offer a wide variety of home comfort services and products. From AC repair and installation to water heater repair and replacement, Lindstrom Air Conditioning & Plumbing has Palm City, Florida residents covered. Did your air conditioning system break down on a hot Florida day? Give us a call! We are ready to help with 24 hour emergency AC repair service and our skilled air conditioning repair techs can repair all makes and models of air conditioners, heat pumps and home cooling systems. We treat our customers right with fair pricing for quality AC service and we stand behind our work with industry-leading warranties and guarantees. We’ve been keeping Florida residents cool since 1975 and you can rest assured that your air conditioning repair will be done right the first time- guaranteed. Need a plumber in Palm City, Florida? 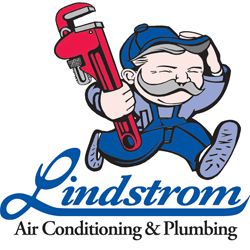 Lindstrom Air Conditioning & Plumbing provides expert plumbing service performed by licensed, skilled plumbers. When you call us for plumbing service you can count on our plumbers being on-time, courteous, and respectful of your Palm City home. Whether it’s a clogged drain, an annoying leak, or installing a new water heater, Lindstrom is the plumber you can count on for quality service. Our quality plumbing service includes a 100% money back guarantee, along with customer care policies that are unmatched in the industry. For all of your plumbing needs, big or small, give Lindstrom a call when you need a plumber in Palm City, Florida!